What with all the plants bursting into life, the hot weather and the switch over to British Summer Time (light until eight in the evening! ), time to dig out the ice cream machine. 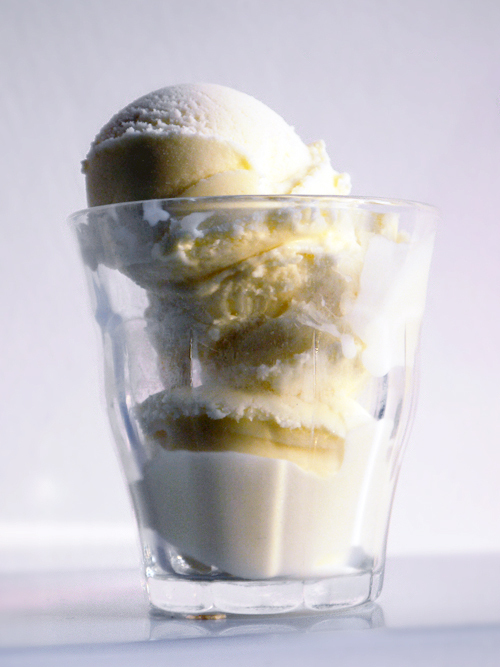 I recently saw what looked like an exciting recipe for milk gelato on Saver Magazine’s website (here). OK, so it’s not quite summer yet, but we need to get into practice. Any excuse! 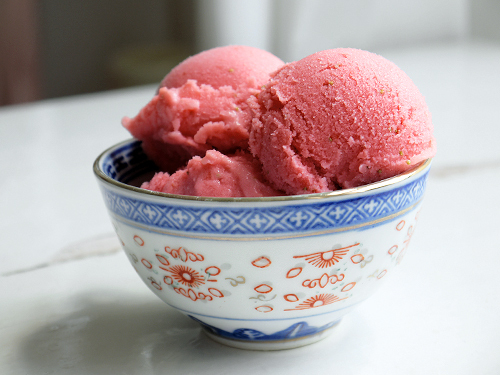 This recipe reminded me of one of my favourite flavours when I was a child, which was made by Scottish ice cream producer Mackies. I always thought it was vanilla, until I actually looked at the list of ingredients and saw that there was no trace of it. This flavour was called “traditional” and was a simple milk ice cream – just cream, milk and sugar – so it seems I was a fan of milk gelato for all those years, even if I didn’t know it. If you are sitting there thinking hmmm, I prefer there to be a bit of flavour in there, then don’t worry. 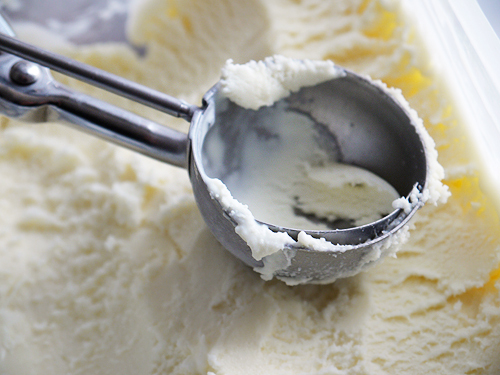 The mixture is sufficiently rich to provide a smooth, creamy gelato, so the trick is just to be sure to use fresh milk and the richest, most luxurious cream that you can lay your hands on. Just imagine serving it with raspberries, strawberries, blackberries or the rest of summer’s bounty. Exactly! Not so in need of just a little dash of vanilla now, eh? While the resulting gelato can be frozen (eh…how else would you store it? ), I think it is also served as fresh as possible, so my tip would be to prepare the base the day before serving and freeze the day you are intending to eat it. This way, the gelato will be at its best, and you will benefit from nods of approval of those devouring your creation. 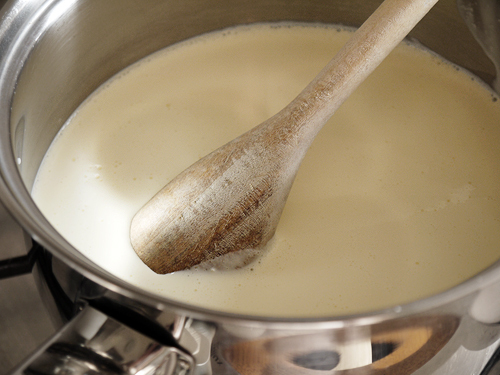 Put the cream and 2/3 of the milk (480ml) into a saucepan. Heat gently until just simmering, then remove from the heat. Cover the thickened mixture with cling film (to stop a skin forming) and leave to cool. When cold, pour into the ice cream bucket, chill in the fridge for a couple of hours, and leave the ice cream machine to work its magic. (*) By this, I mean the stuff you use to thicken sauce, so it may be called “cornstarch” elsewhere. 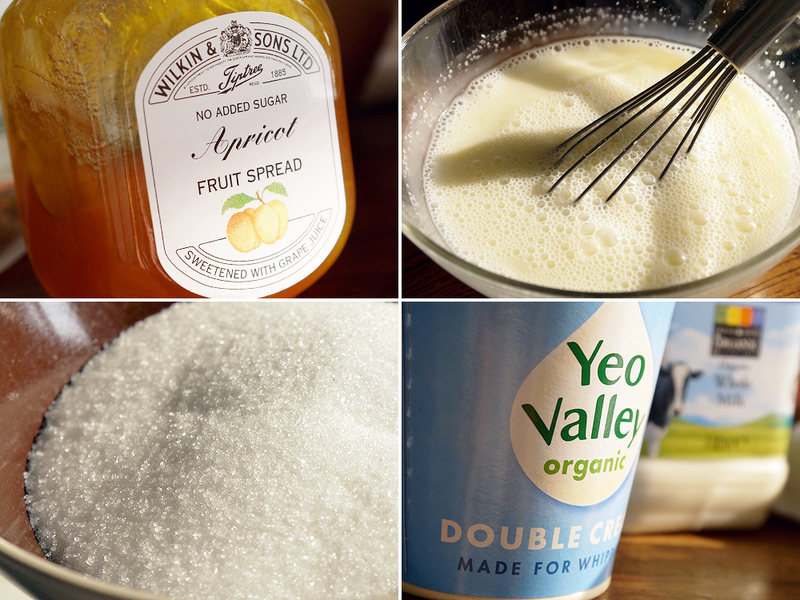 (**) To sieve the jam: heat a couple of spoonfuls in a saucepan until runny. Pass through a very fine sieve (using a spoon to push it through), and use a spoonful of the sieved jam in the recipe. Don’t know what adding the jam does, but I did it, and the result was great. Worth making? In a word – superb. Will surely be making this again as I think it would go wonderfully with summer fruits later in the year.